Cost Of Rhinoplasty NYC | How Much is a Nose Job? What Determines the Cost of Rhinoplasty? There are a number of factors that go into the cost of your rhinoplasty procedure, including how complicated the procedure is, the surgeon’s training and experience and where he or she is located. How and why do these factors come into play? Below we answer these and other important questions about the cost of rhinoplasty. How does location influence cost? The cost of your rhinoplasty will depend among other things on where your surgeon is located. In urban areas and certain other areas of the country, such as California and the Northeast, you can expect to pay more than in other areas (e.g., the Midwest, South and rural areas). This is due to the fact that everything costs more in these areas, from equipment to office space to energy costs. So, if your surgeon is located in a high-cost area, plan on paying a bit more. How does experience influence cost? Another factor influencing the cost of rhinoplasty is the surgeon’s experience. On one end of the scale are board-certified facial plastic surgeons with years of experience performing rhinoplasty; on the other are young and inexperienced surgeons, as well as surgeons without advanced training or board certification in facial plastic surgery. The former can command significantly larger sums for their services than the latter, and for good reason. A facial plastic surgeon with extensive experience performing surgeries of the nose is much better equipped to provide the quality results you deserve. In most cases, rhinoplasty is not covered by insurance. Related procedures such as septal perforation repair or septoplasty may be covered if you are experiencing health problems, but if you are having rhinoplasty for cosmetic reasons, it will not be covered. Check with your insurance carrier for further information. Not necessarily. Experienced, board certified facial plastic surgeons are not the only surgeons that charge more. For example, an inexperienced surgeon in an urban area may charge more than an experienced surgeon in a rural area. Other surgeons may charge more simply because they can. To get an idea of what your rhinoplasty should cost, schedule appointments with several surgeons in your area and ask for a quote from each. If one charges far more than the others, ask why. All of that being said, cost should not be the primary factor when choosing a rhinoplasty surgeon. It’s better to wait and save up — or to finance part or all of the surgery — than to pay in full for the services of an inferior surgeon. Rhinoplasty is an invasive surgery with potentially lifelong results; it’s not something you should scrimp on. 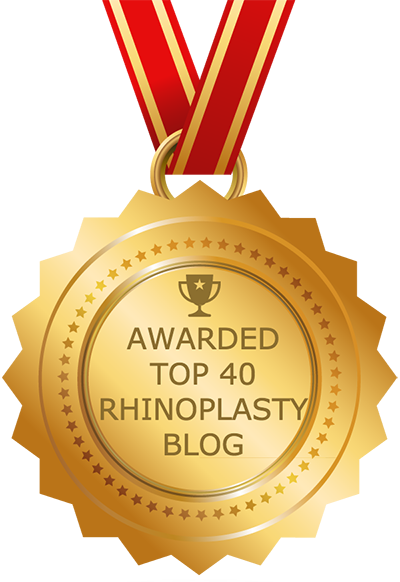 The most important thing to consider when planning for your rhinoplasty is the result. Ultimately, that is all that matters. There are a number of factors you should take into account to ensure that you receive optimum results. Perhaps the most important factor is the surgeon. Look for a board-certified facial plastic surgeon with advanced training and experience performing rhinoplasty and other procedures of the nose. These surgeons are better equipped to assess your needs and carry out a successful procedure. The quality of equipment to be used is another factor you should consider. Make sure your surgeon has access to 3D cameras and other state-of-the-art technologies that allow him or her to view the nose in high definition and perform your surgery with the utmost precision. It is important that your surgeon is able to make small incisions and avoid certain blood vessels in order to reduce the recovery time and optimize results. Another factor to take into consideration is the recovery. Following surgery you should expect to feel some soreness and possibly nausea. After a couple of hours spent under observation at the surgical facility, a friend or family member will need to drive you home. Your nose and the area around your eyes will be swollen for several days, during which time you should keep your head elevated and use cold compresses to minimize the swelling. You will also need someone to monitor your temperature during this time. About two weeks after your surgery the swelling will begin to subside, but please note that swelling persists to some extent for up to a year. Speak with your surgeon to learn more, including when you will be able to resume everyday activities.